Implement these five tips for a gorgeous and organized pantry and start loving your food storage this year! January is the month to get organized. 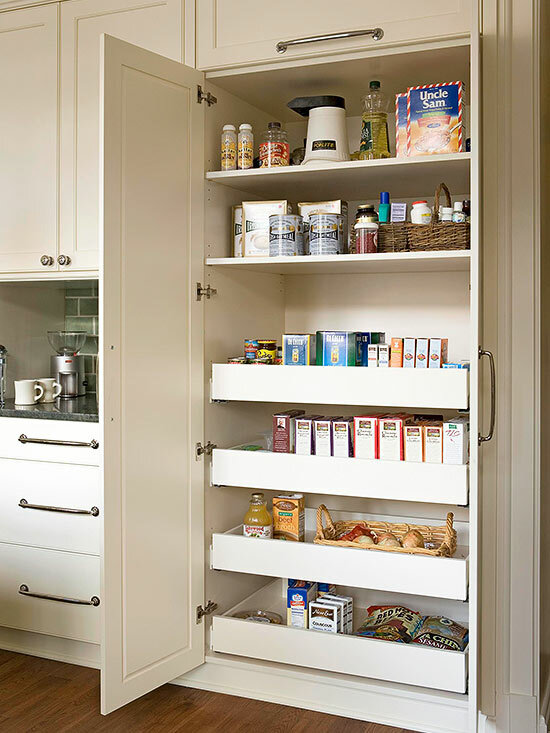 It’s a new year, new beginnings, and a great time to organize your messy pantry! Having an organized pantry can make mealtime so much easier–and I think it’s safe to say that most of us need all the help we can get during that time! When everything else seems to be going wrong, we can at least go to our pantry and know that there is one spot that is clean, organized, and efficient. Find a system that works for you, and make an effort to maintain that system once a week. In this post you will find some quick and easy tips to get you started in your pantry organization. 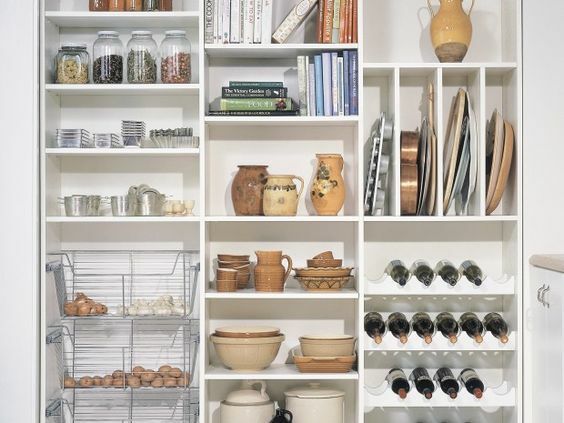 Organized Pantry Tip 1: Work with the space you have been given. 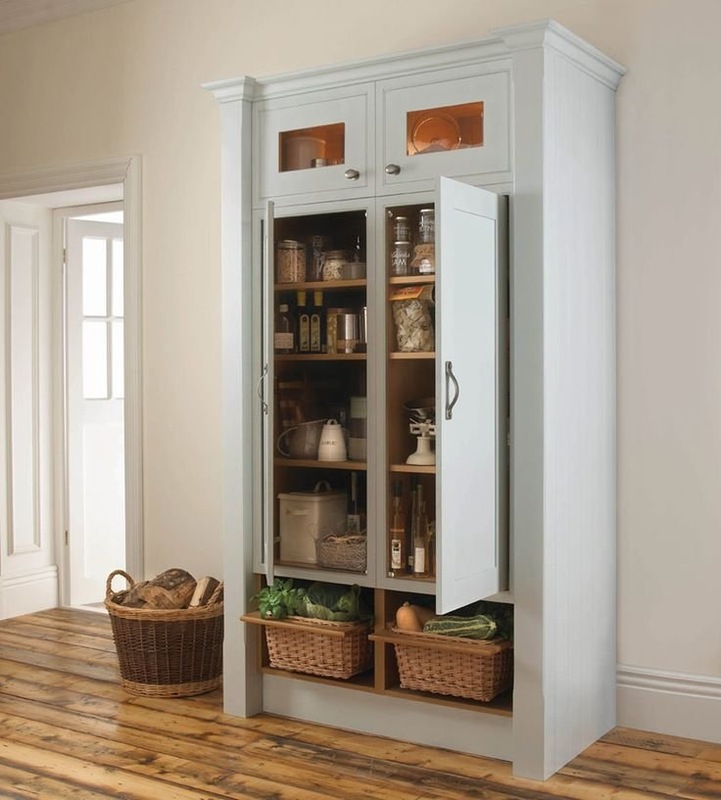 We’ve all seen the glorious walk-in pantries, and they’re magnificent. However, if your pantry space isn’t the size of an enormous closet, you can still have some fantastic organization with a little creativity. A very common situation is not having a pantry closet at all, but never fear, pictures are here. If you lack a pantry, use a stand-alone cabinet and create one. You can also use your kitchen cabinet space as your pantry. Consider adding roll-out shelving to allow you to reach the items in the back and better utilize cabinet space. Use open shelving. Kristen from Ella Claire launched an open shelving pantry revolution with her brilliant DIY pantry shelves. They are not only beautiful but functional. Check out her blog for the full shelf tutorial. Organized Pantry Tip 2: Group similar items together in containers. 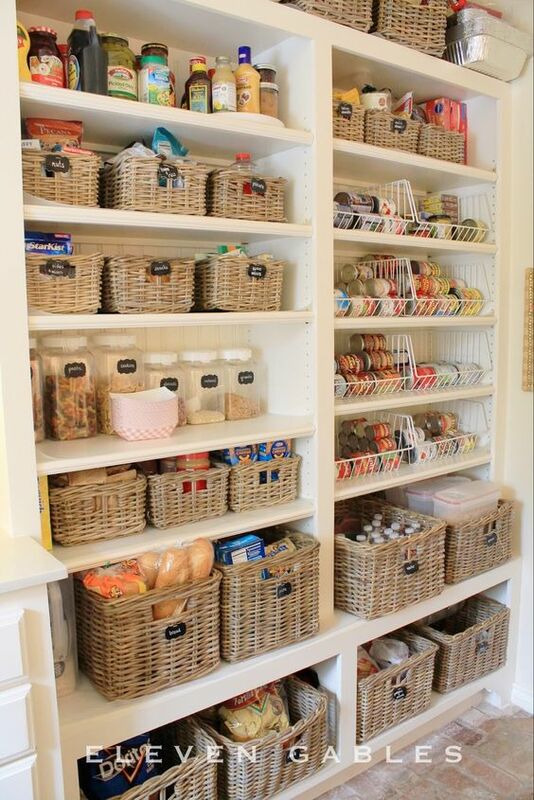 Baskets not only look cute, they also help organize loose food items. Group dry foods such as baking items, snacks, grains, crackers, chips, etc. into their own baskets for easy food identification. 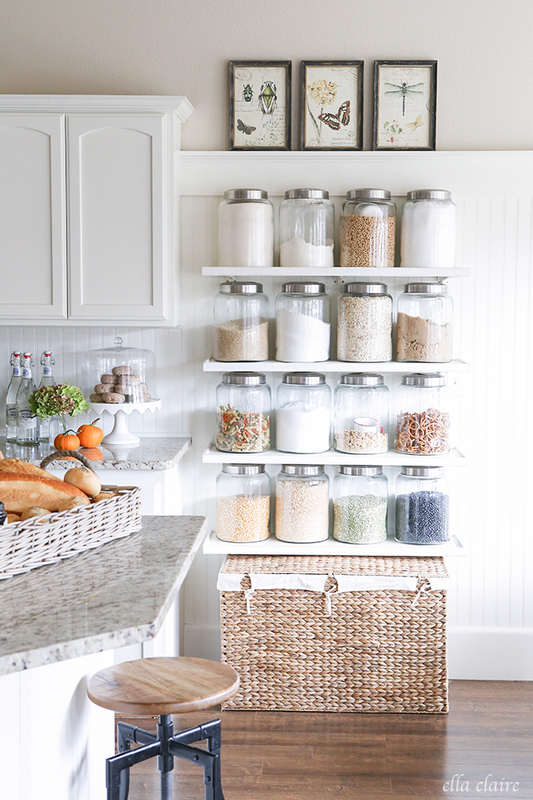 Glass containers are a beautiful way to store and organize your food. They keep items fresher longer and make things easy to find. If your family eats a lot of cereal, trail mix, and dried nuts, invest in tall plastic containers to keep dried goods fresh, easy to find, and clutter free. 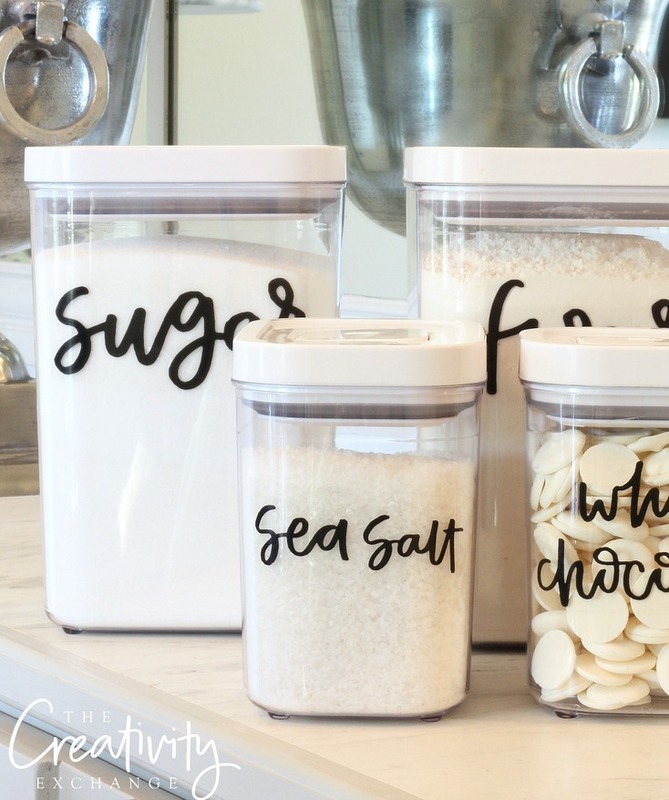 Organized Pantry Tip 3: Label your storage containers. 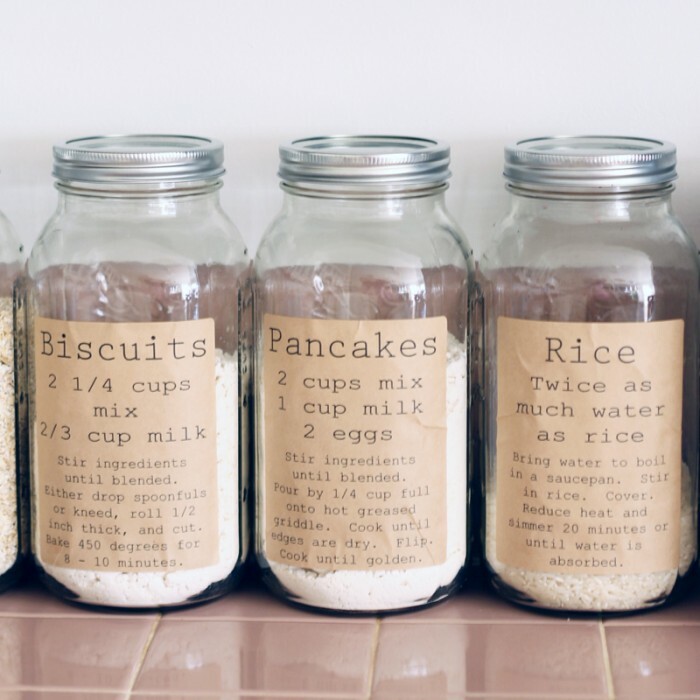 Labeling your food containers helps ensure that your family gets on board with your pantry organization plan! 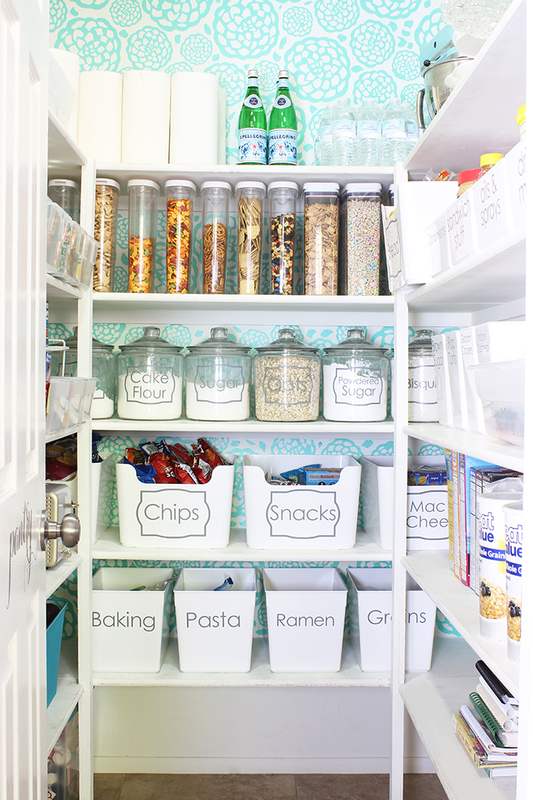 You can find several great free printables for pantry labels online. Below are links to two of my favorites. Pantry Organizing Tip 4: Maximize your space. Getting creative with the space you are allotted can be tricky. 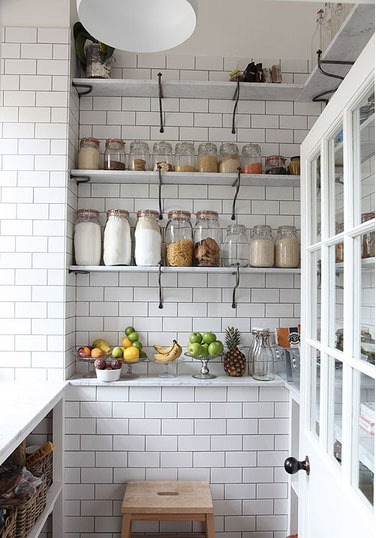 Use vertical shelving to store oversized baking items. If you’re unable to build shelves around your containers, be sure to measure the space you have and shop for items that fit perfectly into your pantry. It is a vital extra step that ensures you won’t be left with awkward baskets and containers that do not properly fit your pantry. My favorite inexpensive places to shop for pantry containers are Ikea, Christmas Tree Shop, Dollar Store, Target, and Home Goods. Amazon is a great resource to use as well. 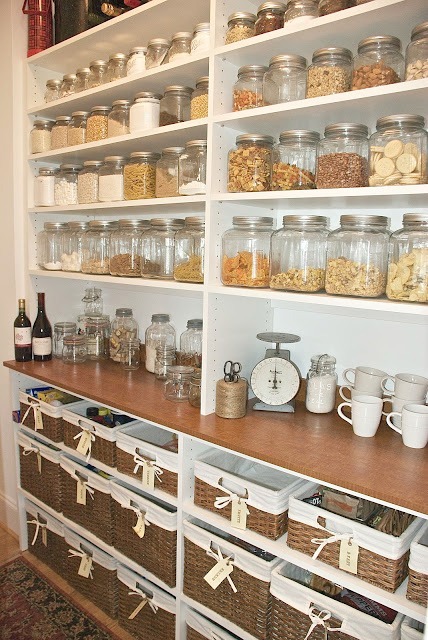 Organized Pantry Tip 5: Decorate your space! Some people think it’s ridiculous to bother decorating the inside of your pantry but I strongly disagree. Small spaces in your home are the PERFECT places to take some risks and gain confidence in trying out new skills. 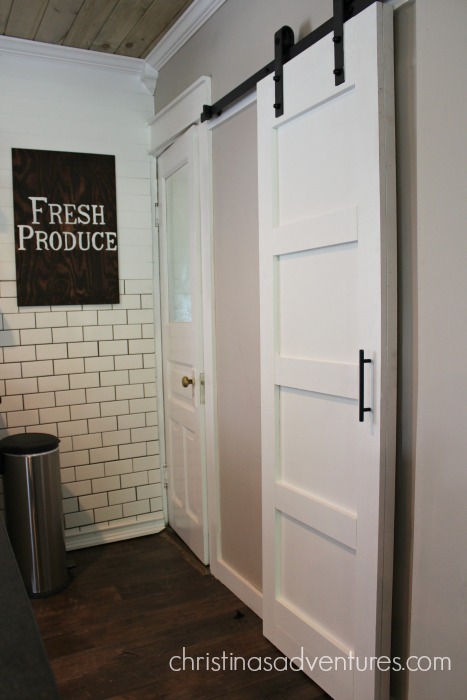 If you’ve always wanted shiplap, but just couldn’t manage an entire wall, the pantry is a perfect place to try it out! Maybe you’ve always wanted to stencil a wall or paint a bold color? Go fo it in your pantry and build your skills and confidence in a space that is easy and inexpensive to fix later if you dislike it! Pantries are also ideal for screen or barn doors. It’s a small nook in your house that begs for some additional character! Have fun with it! 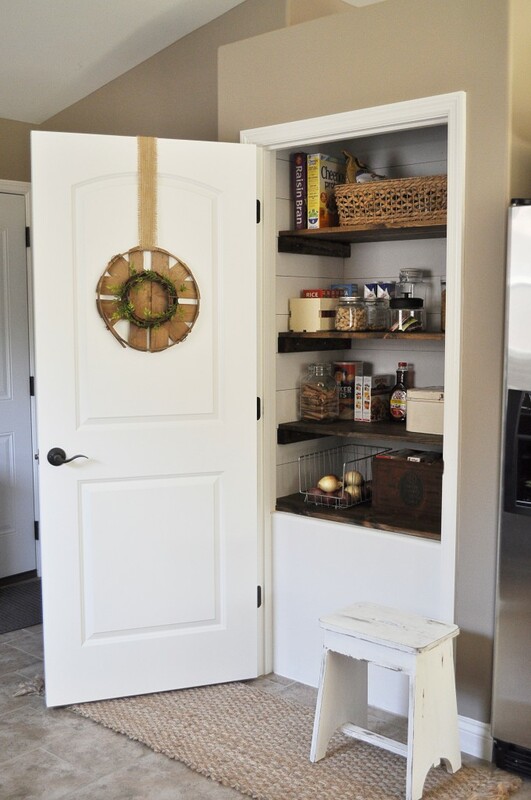 Source: christinasadventures featured here with 20 barn door DIY tutorials! This is great! I live in a small apartment, so most of my storage is in my cabinets and on top of them. I’ve been trying to get organized while keeping everything pretty- you have so many great ideas! Hey Beth, thank you for this! I wish I had more room for my pantry supplies, but sadly, I just have to work with what I’ve got. Great inspiration Beth! I wish my pantry supplies looked as fabulous as Kristen’s do hanging on the wall! You and me both Jamie! 🙂 I love her wall. It’s iconic.